Good News to All Seafarers! | BSTS SDN. BHD. 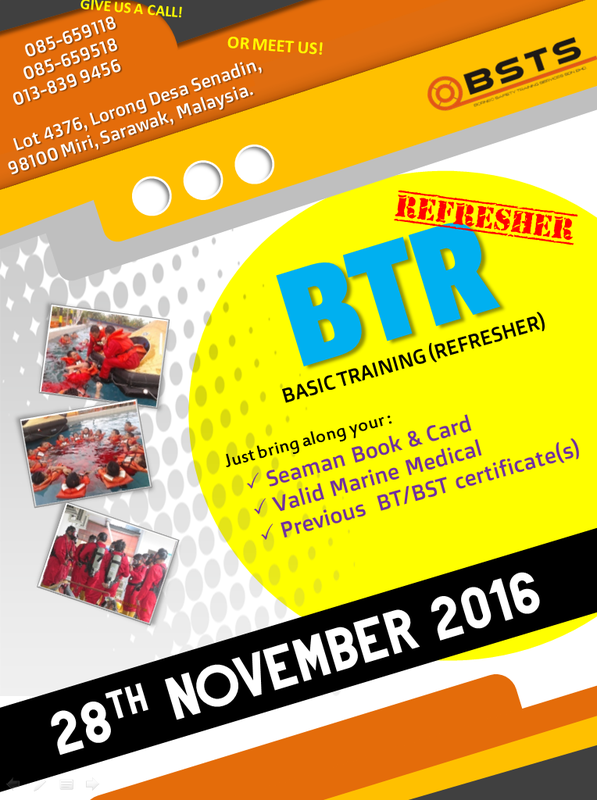 Latest News Good News to All Seafarers! 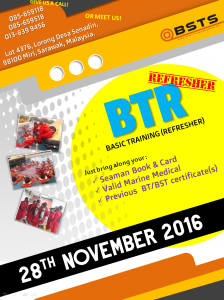 We have an upcoming session for Basic Training (Refresher) on Monday, 28th November 2016! Book now to secure your seat!